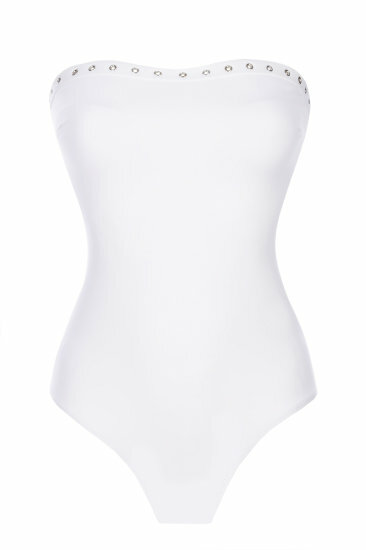 SAM is an elegant one-piece swimsuit with a decorative top and a classic bottom. It contains removable bikini pads for a very nice bust arrangement. 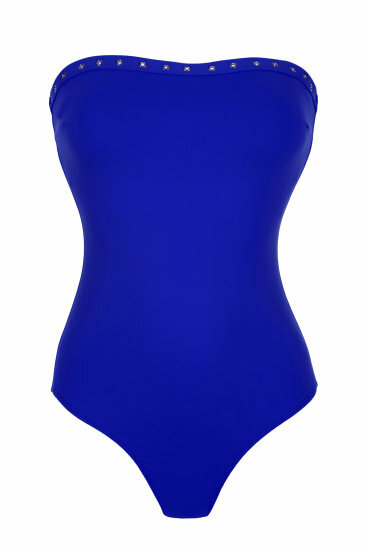 The swimsuit does not have straps, but the way it is made makes it stay in the right place.